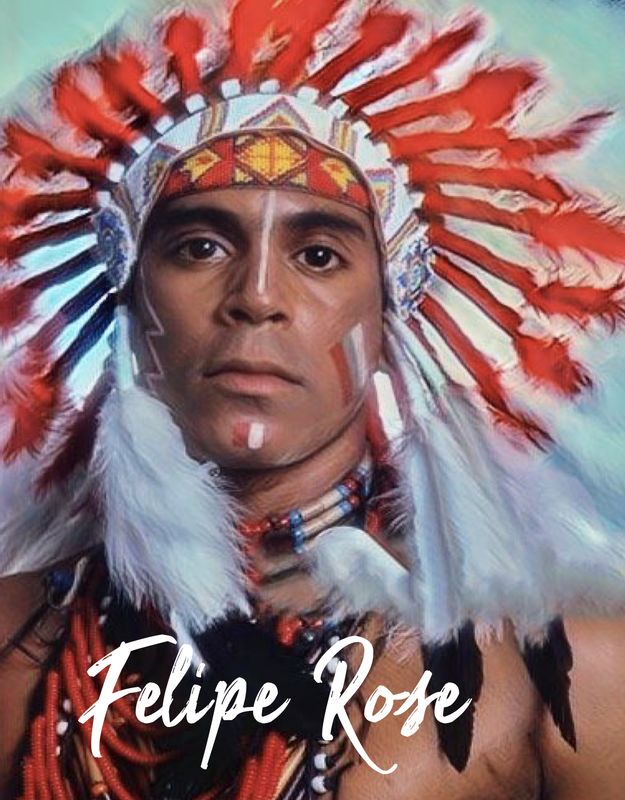 Felipe Rose came into prominence in the 1970s out of the urban gay clubs and discotheques of New York City. He was best known in those days as the Native "Indian" dancer and singer inspired by his parent’s heritage when he met a French producer by the name of Jacque Morali. Felipe's ancestry is that of Taino and Lakota. His mother was from Puerto Rico and his father arrived from a wave of Indians who came to New York City to work in construction in the 1950's. Felipe would grow up in the ghettos of Brownsville, Brooklyn, but his rise to pop music fame would make him a fixture in mainstream music culture. Felipe became an original member of Village People fame, by the young age of 19 yrs old. Village People began as a disco group well known for their on-stage costumes and named after New York City's Greenwich Village. Originally created by Jacques Morali and Henri Belolo inspired by Felipe's insidious imagery to target disco's gay audience, the Village People quickly became popular and moved into the mainstream. The group scored several disco dance hits internationally, including three hits in the US, "Macho Man, "In the Navy", and their biggest hit, "Y.M.C.A.”. In 2018, Rose was inducted into the Legends of Vinyl Hall of Fame and he also won a "Best Dance song" Native American Music Award for his hit "Going Back to My Roots’.